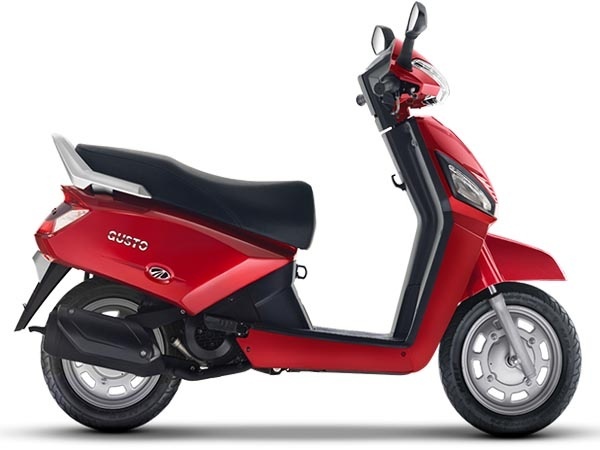 For this festive season, Mahindra 2 Wheelers is launching the limited edition Gusto scooters in India. Following the trend, even Mahindra 2 Wheelers wants to make the most out of festival season to capture the 2 wheeler buyers towards it. Already other auto manufacturers have started offering special prices, freebies and other giveaways like service and warranty benefits. Mahindra Two Wheelers’ new limited edition Gusto could drive further sales. The two wheeler maker has tweaked the looks of existing Gusto making it look more attractive. The Gusto limited edition Gusto boasts of dual tone paint scheme that comes with Silver Magenta and Ice Cool Red shades. In addition to this, Mahindra 2 Wheelers would be offering a free annual insurance cover on the scooter to further cheer the festive spirit. Mahindra Gusto range shall start at INR 51000 (on-road price, Mumbai) for the DX variant, and the HX model coming in for INR 54,500 (on road price, Mumbai). Mahindra 2 wheelers is also offering the Gusto Limited Edition in range topping VX guise for a price of Rs 56,700 (on-road, Mumbai). Under the hood, the limited edition Mahindra Gusto remains the same with no mechanical changes, the 109.6cc air-cooled single cylinder delivers a power of 8bhp, maximum torque of 9 Nm , The CVT driven engine of the Gusto continues to perform like the earlier version.